I was blessed to have interviewed Mr. Schallert in 2002, when he appeared in a stage play in New Jersey. We talked for nearly two hours, and he was a delightful raconteur. Years later, I reprinted the article from that interview at http://carole-and-co.livejournal.com/190884.html. Enjoyed your piece on him, and your 2016 tribute to a man I call the quintessential character actor. As you say, Schallert mostly portrayed nice guys, so much so that I believe he was in a drugstore or medication commercial in the '80s. I'd forgotten he could be a very bad dude indeed! Thanks Terry, for this eye-opening contribution to the WAC! 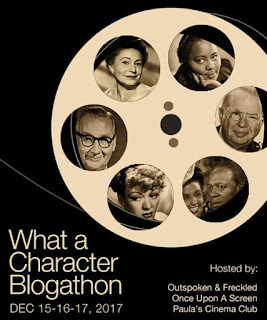 Blogathon. What a true character actor! Always thought he would be like an ideal dad- because he played that role so well. Very calming presence. Per usual, another fascinating post from you, Terry. Thanks so much for joining our blogathon! Marvelous choice and very well done. Have you heard Dennis Weaver's commentary on the Gunsmoke DVDs? It may have been the very episode you highlighted where Dennis' delighted shout of "Look, it's Bill Schallert" has forever cemented the actor I formerly referred to as William to Bill. Dennis was so affectionate in speaking of his friend. One of my favourite TV performance of Bill's is on a two part Hawaii Five-O where he played a lawyer. One of those guys with a homespun southern accent, but sharp and pointed as a tack. Terrific. In the movie Man on Fire, Bill was the court stenographer to Judge Anne Seymour and their byplay made me with the movie about a divorcing couple was more about the Judge and her underling. A sequel or a TV show was definitely in order. Schallert has always been one of my favorite character actors and I especially love watching him when he plays fathers ( like Nancy Drew's dad Carson in The Hardy Boys/Nancy Drew Mysteries and The Patty Duke Show ). Great choice! 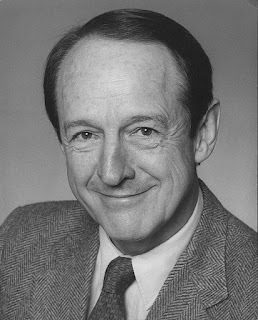 'Always loved William Schallert! 'A terrific actor and, by all accounts, he was a wonderful human being in his own right. 'Just a lovely man! I just looked up his filmography on IMDB, and what a busy man! It must speak to his professionalism and his talent. I'll play closer attention the next time I see him on screen....which, as it turns out, should be fairly often! I guess it's like Walter Brennan told Gary Cooper, don't be the star, and you'll always get work. Or, put another way, don't get hot, because then you'll never be cold.